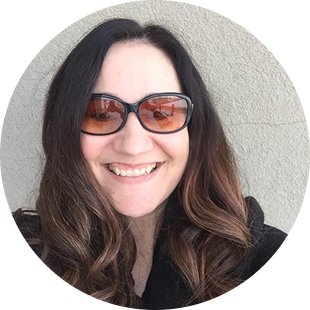 This post was generously sponsored with products from Crafters Companion. All opinions expressed herein are mine. 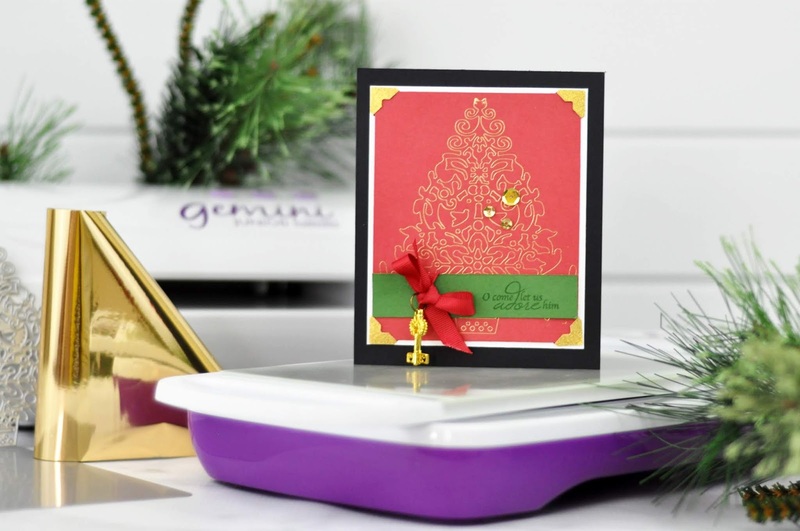 Today I'm sharing one beautiful way to add sparkle to your holiday cards. Add foil! 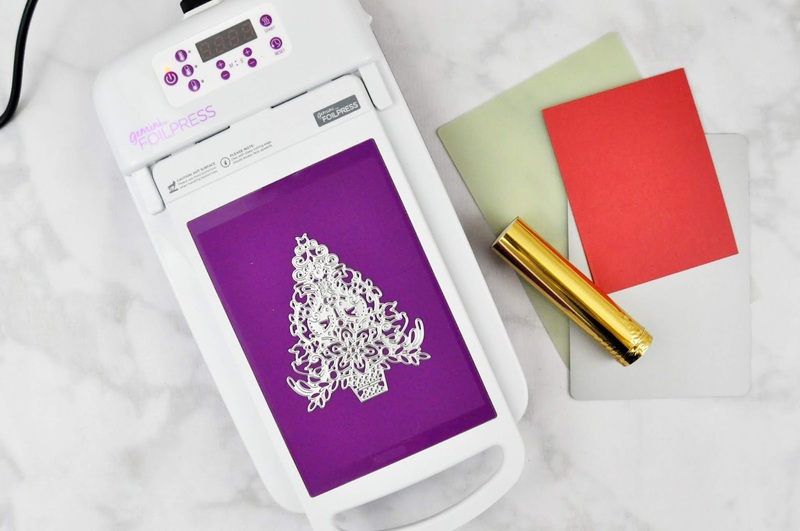 This hot trend is popping up everywhere, and adding foil to your Christmas cards is the perfect way to give this technique a try. 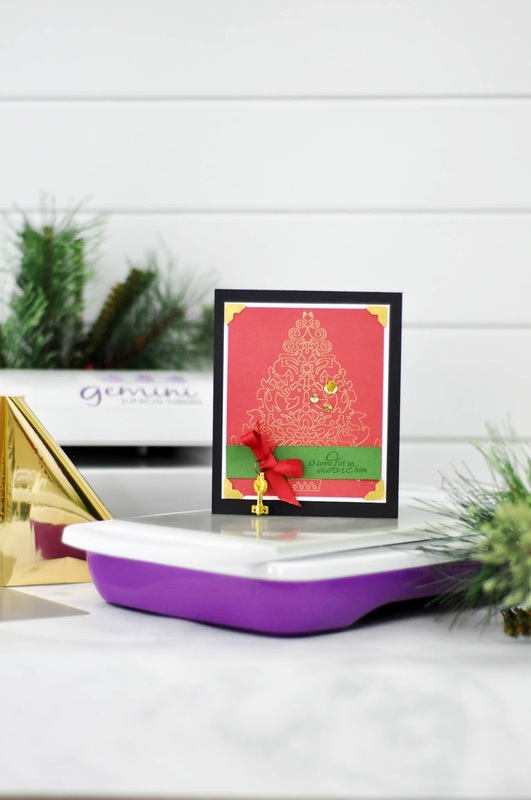 In this tutorial, I'll show you how I used the Gemini Foil Press to add beautiful foil accents to a holiday card. Keep reading for the step-by-step instructions. 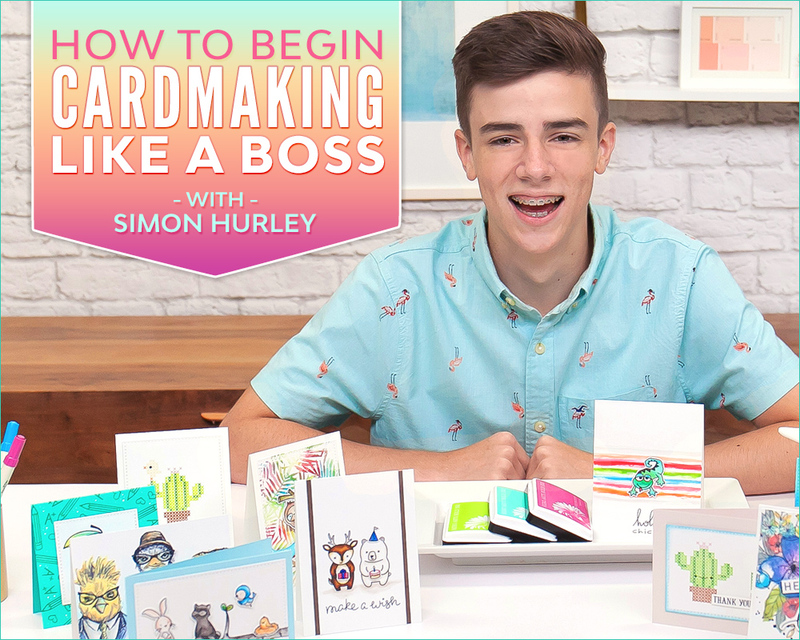 You'll want to give this project a try! 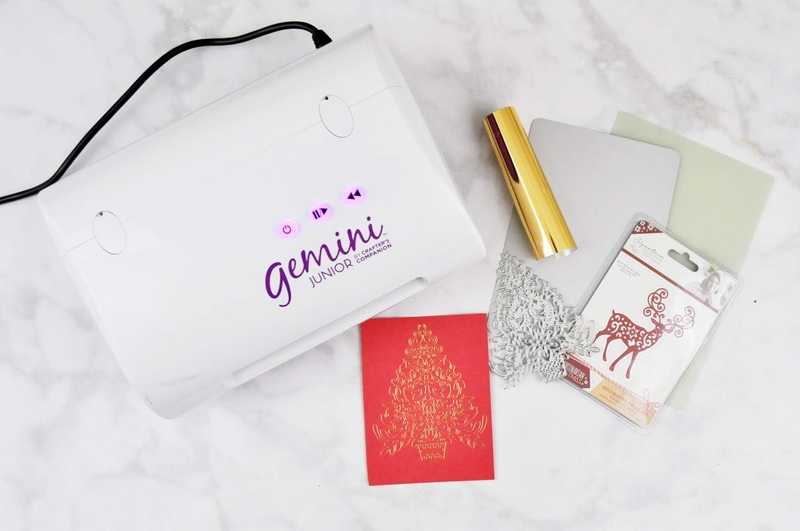 Step 1: "Partridge in a Pear Tree" die (cut edges of the design facing up) on the Gemini Foil Press platform and turn on the machine. I selected medium heat and heated the die for 30 seconds. Step 2: When the timer goes off, place a pre-cut sheet of foil, color side down on the die. Be careful as the plate will be hot to the touch. 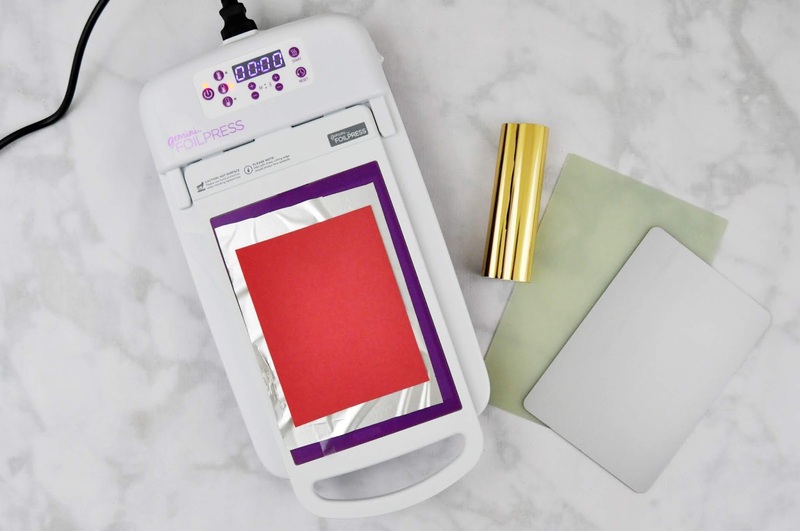 Step 3: Place your card front or paper in any color of cardstock or patterned paper you want on top of the die and foil. Use the guides on the Foil Press for alignment. AGAIN: Be super careful as the surfaces are all hot. Turn off the Foil Press machine and remove the Foil Plate Platform from the machine. 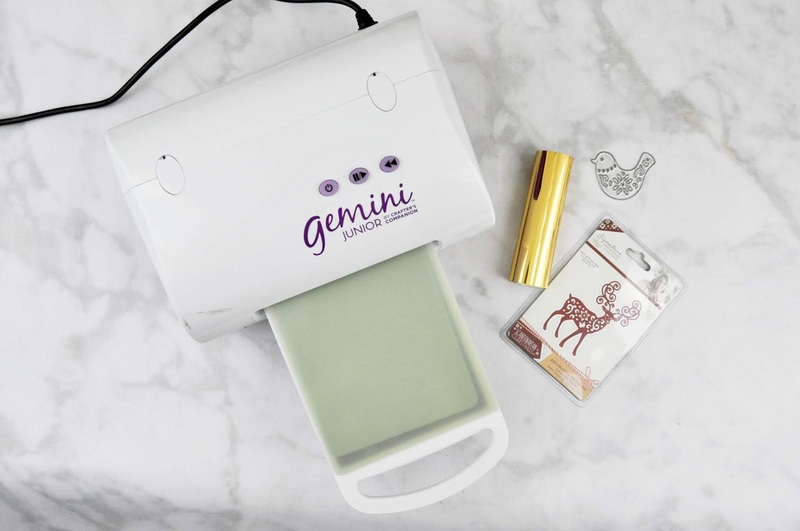 Step 4: Place the top plate on the paper and run the Foil Plate Platform through the Gemini Junior die cutting machine. This will create a debossed foil effect. Step 5: Remove the card foundation from the Foil Plate and finish designing your card. I used the "Peace and Joy" stamp set to add a stamped phrase to the card. I also added two gold keys from the Black and Gold "Luxury Metal Charms" set and ribbon from the Scandinavian Christmas collection to give the card some dimension. 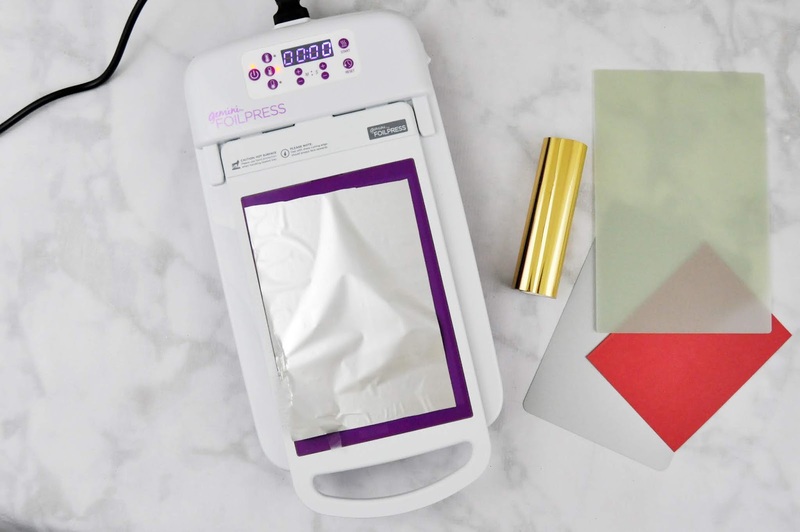 You can find the entire range of Foil Press products HERE. There are so many beautiful things to choose from. 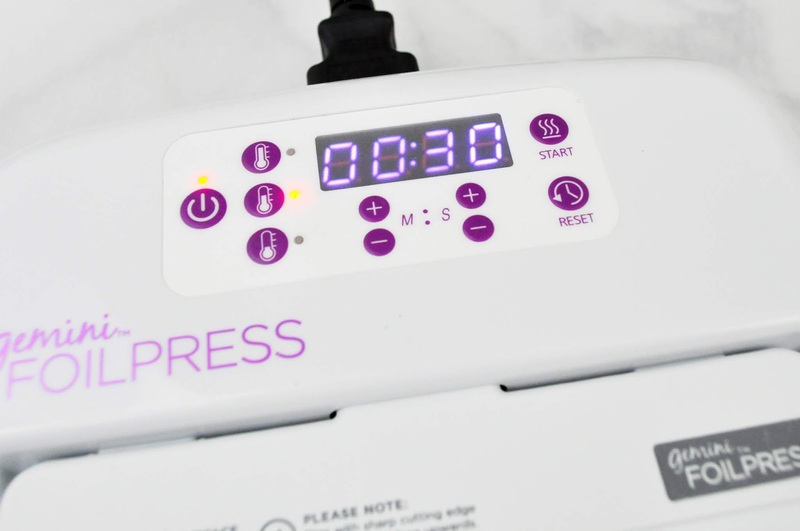 You can purchase this machine through HSN in the today's special HERE. All accessories can be purchased HERE. 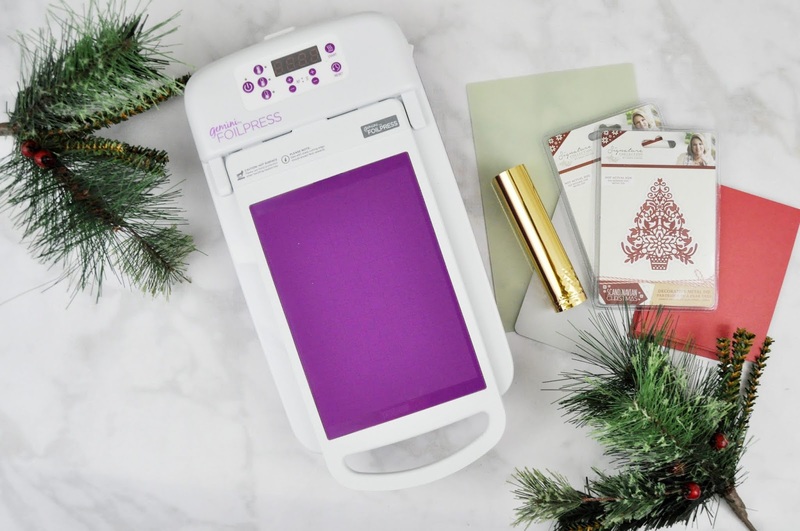 For additional details about the Foil Press, visit this site HERE. So beautifully elegant! Love the red, gold, and green!